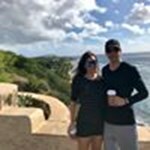 Kualoa Ranch all booked up?!?! 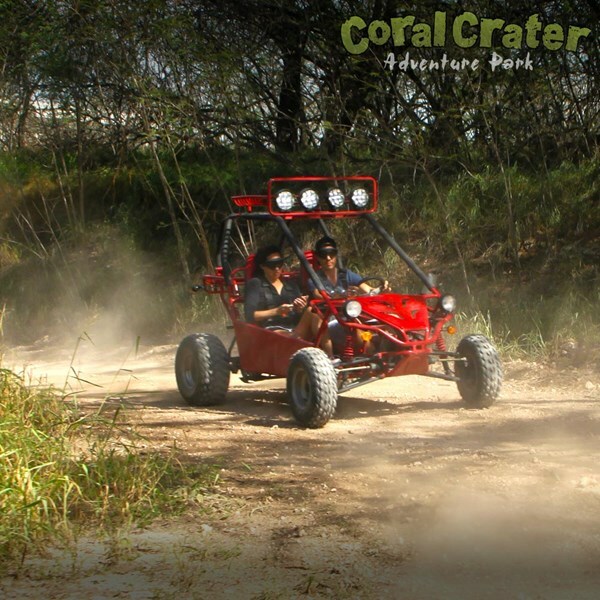 Come to Coral Crater to check out the Off-Road Side-by-Side ATV Adventure or some combo packages! 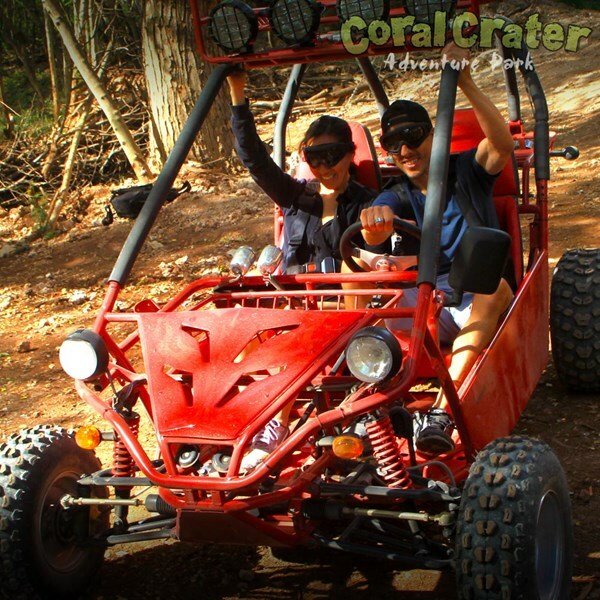 Oahu has such a diverse, rugged landscape, what better way to explore Coral Crater than by driving an off-road ATV? A specially-designed technical course awaits you, where our expert guides teach you some basic off-road techniques. Once you receive some pointers and go over the safety briefing, you’ll be ready to navigate our technical course. 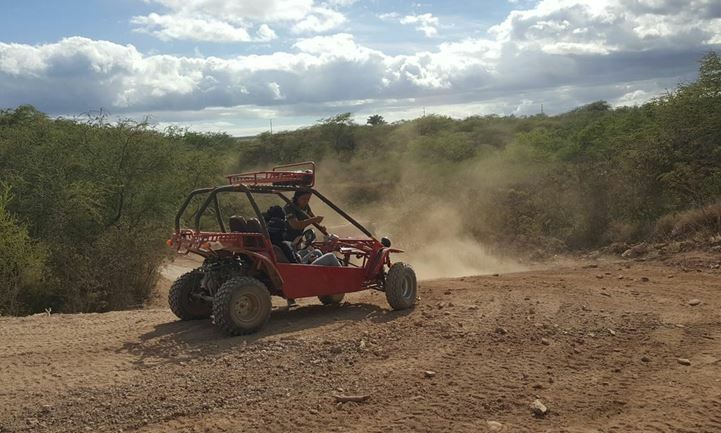 Side-by-side ATVs are especially fun because you share the experience with a friend sitting next to you as you conquer turns, ascend hills, and explore Coral Crater. If you’re lucky, there will be some muddy puddles to splash through so don’t wear your best outfit! Be prepared to get dusty and dirty! We recommend bringing a bandana to keep the dust out of your face. 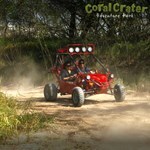 The side-by-side ATV adventure is best booked in a package. With the Extreme combo package, you can make the most out of your time at Coral Crater by adding the full zipline adventure at a discounted rate. 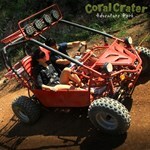 Or do it all and book the popular Ultimate Adventure Package! The minimum age to drive an ATV is 18. If you’re under 18 and would like to join this adventure, you can be a passenger with an expert guide. 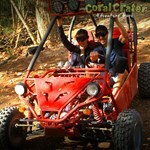 The Off-Road Side-by-Side ATV Adventure is double occupancy. That means that it is designed for two people per vehicle. 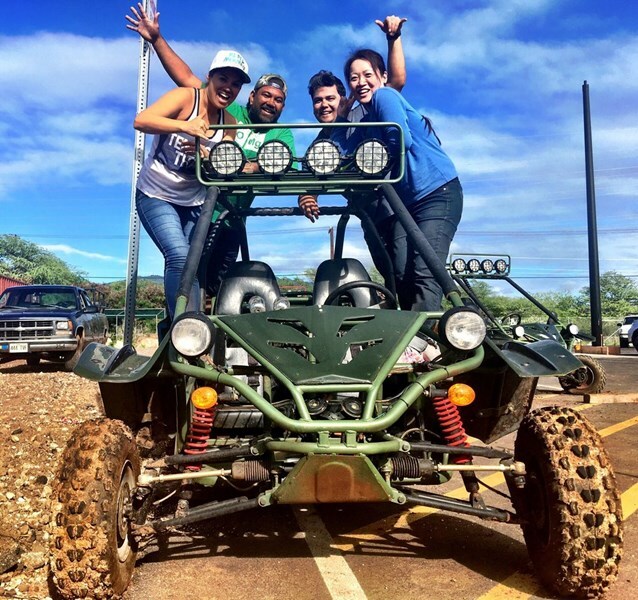 Round Trip Transportation Included from Waikiki and Ko Olina Hotels (10am Tour Only). 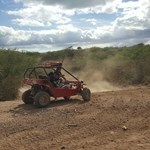 We have a technical course coupled with some smoother runs to be enjoyed on our ATVs. 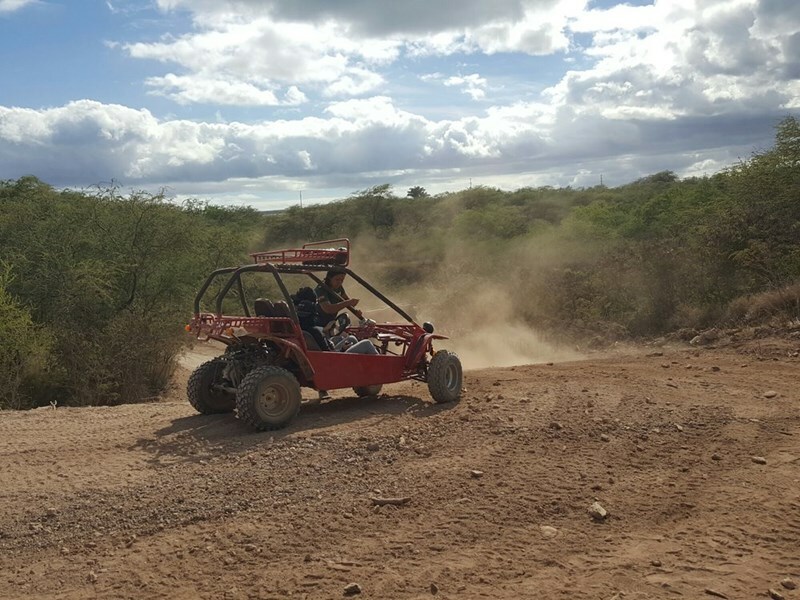 Learn some basic off-road techniques from our skilled guides and have a blast navigating our technical course. Things can get a little muddy sometimes, so dress comfortably and don’t be afraid to get dirty! Minimum Age: 6 years old. Must be 18 or older to drive ATV. Anyone under 18 can be a passenger on an ATV. Round Trip Transportation Included from Waikiki and Ko Olina Hotels (9am Tour Only). 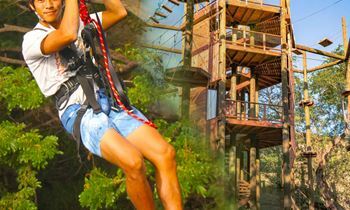 In any order you choose, enjoy all six of our ziplines, off-road in a side-by-side ATV, our king swing, freefall, and our state-of-the art Adventure Tower. This package will satisfy those who are thirsty for adventure and looking to spend their day participating in exciting new experiences. Our professionally-trained guides will accompany you throughout the day and make sure you’re having maximum fun and staying safe! 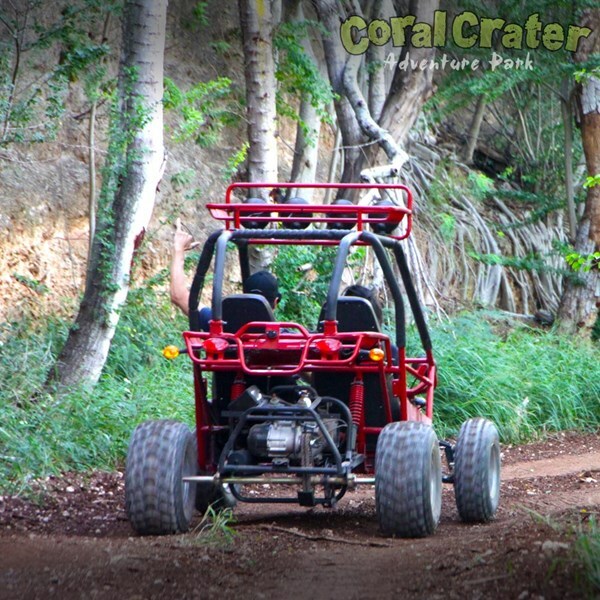 You don’t need to worry about a thing; once you arrive at Coral Crater, we’ve got you covered. From start to finish, we take you from one exciting adventure to the next. 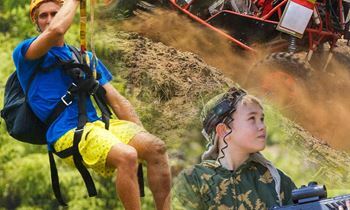 Since you’re participating in all of the activities we have to offer, there’s a pretty good chance of getting a little dirty, so come dressed for adventure! Wear comfortable clothing and closed-toe shoes so you can enjoy each element of this tour. Leave your favorite shirt at home! Minimum Height for Adventure Tower: Participants must be 4’6″ to independently navigate the course. Guests shorter than 4’6″ (and at least 6 years old) are encouraged to participate but will require an adult participant to lead them through the course or hire one of our guides to help perform safety tasks. Adult participants can assist a maximum of two guests under 4’6″. 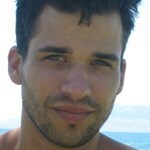 Guides can be hired in the check-out process as an add-on option. Must be 18 or older to drive the ATV. Those under 18 can be a passenger on an ATV. 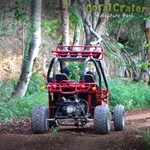 Off-Road ATV Adventure Daily 40 minutes Click on the "book it" button to view various activity times. Exact check in time & location will be included in your confirmation email. See map below for approximate location. 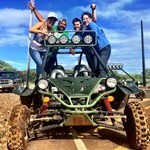 Cool location, the ATV's were a blast, and the tour guides are on point with customer service and safety! Definitely going to be a repeat customer, especially when friends & family come to town.